Gamification can be highly motivating, for both internal employee performance and customer loyalty. It’s the practice of structuring everyday tasks into a game-like format so as to increase the level of role-playing and point gaining—simulating a game being played—by incorporating goal-setting, integrating online tools, and offering real-time feedback. There’s something intrinsically motivating about the pursuit and subsequent attainment of a reward—so much so that the dopamine levels in our brains increase as the result of playing a game. 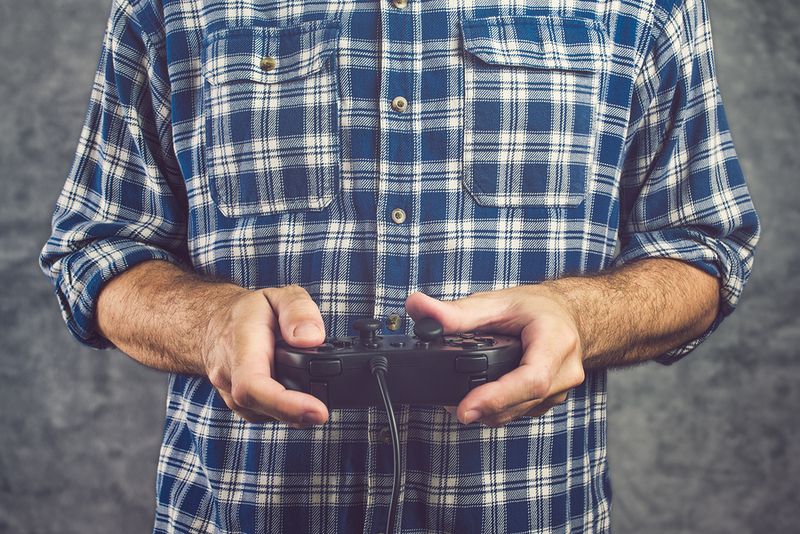 Whether for use in training employees, competing for sales records, or as incentives for customers, gamification is a clever way to increase levels of participation and enjoyment while helping the proverbial “bottom line” at the same time. Does it have to actually be a “game”? Although games are motivating for both employees and customers, there’s no need to play a full-fledged game. Rather, it’s possible to integrate game-like components, such as role-playing through car racing or team sports, into department goal-setting, in order to inject an element of fun into everyday routines. It’s also possible to encourage customers to make repeat purchases by incentivizing their business: a point for every dollar spent, for example, with free rewards or discounts awarded as a result. This integrates the “game” element, without requiring that customers play an actual game. Another motivating gamification strategy is co-creation: Intuit details how Domino’s Pizza in Australia introduced an online portal called “Pizza Mogul” for customers to create their own pizza, and they were financially rewarded (between $0.25 and $4.50) every time somebody bought their custom pizza. This rewards system both inspires customers to visit the site and encourages healthy competition, which is generative because it not only encourages people to get involved, but it inspires curiosity through recruiting others who might want to outdo their friends’ recipe entries. Feeling a sense of ownership over the creation process is also hugely motivating, as it inspires feelings of pride and expertise. To take a cue from education, an Arizona State University class in environmental science recently piloted a game-based format designed to immerse students in lifelike leadership roles and scenarios in order to help them think about issues related to sustainability in complex ways. There are no “right” or “wrong” answers—as in real life. On the contrary, students must make decisions based on what’s best for the community and the environment. Students and instructors are given a “performance summary” dashboard, along with a “resources viewed” metric, upon completion of each module. Each student’s decisions are evaluated based on their “triple bottom line” impact on social, environmental, and economic sustainability. This educational use of gamification provides a helpful example of complex scenarios coupled with realistic expectations for possible answers. The situations presented to students have no “right” or “wrong” answers, which is more similar to situations students are likely to encounter in the workplace. Therefore, they will likely be more adequately prepared for when they are faced with conflicting interests or ambiguous scenarios that require them to weigh the pros and cons of the various possibilities. When designing games for the workplace or the marketplace, one important factor to keep in mind is that there is an ideal balance between games that are too challenging and games that are too easy. According to Emil Heidkamp from Sonata Learning, you want to avoid either end of the spectrum, since there is an ideal level of difficulty that will achieve what is known as “cognitive flow” so as to maximize learning. This can only be done, however, when the difficulty of a task is proportional to a person’s ability. However, some failure in a game-like environment is good. The idea is that failure while playing a game is safer and less socially risky than when based “in real life.” Furthermore, part of the reason why games are so addictive is because of the dopamine effect—the hormone is released upon anticipating a pleasure like a reward or game point. One example is Shannon Polly and Associates’ use of improvisation to train managers in communication skills; again, the non-threatening, practice element helps the “real life” version seem less intimidating and a bit easier, eventually. Another example is Target, who used a gamification system to give cashiers a “red” or “green” rating depending on whether they scanned a customer’s item quickly enough or not. This system of immediate, real-time feedback is highly motivating, especially for those who love to win and see tangible results. In addition to implementing short-term reward systems, consider adding long-term rewards. Andy Petroski of Harrisburg University of Science and Technology suggested, for example, linking customer service performance to LinkedIn profiles based on a point system, so as to bolster future career prospects. That’s the key—to avoid allowing short-term reinforcements replace long-term incentives. How, then, can managers and department heads implement long-term rewards that are intrinsically motivating as well as challenging, in a game-like way? Patrick Hogan from Tenfold lists three elements critical to motivation: autonomy, value, and competence. If activities are intrinsically motivating, and people are allowed the freedom to discover them on their own, those activities are more likely to “stick” than if they’re assigned or delegated. Furthermore, if something of value to a particular individual is at stake, that person is more likely to perform at a high level because what’s at stake is personally important. In addition to goals of personal significance, another motivating educational tool is the introduction of various levels of knowledge. According to eFront Learning, Cisco teaches social media marketing techniques via a multi-level program with different ranks that culminate in the title of “social media master,” after completing 46 courses. This type of status conferred in exchange for study is not dissimilar to an academic degree program, of sorts—and the similarity is most certainly not lost on them. Academia carries a great deal of cultural capital, and this fact was likely part of the reasoning behind Cisco’s level and course system. There’s something to this “natural reward compulsion loop,” as Tim Eisenhauer describes it, in which an employee performs an action and receives a reward for performing that action; the reward then triggers a dopamine response in the employee’s brain, so upon invitation, the employee happily performs the action again—in anticipation of the same response, of course. It’s a naturally reinforcing cycle consisting of rewards, reinforcement, and motivation. If our places of work find a way to include a kind of built-in reinforcement system similar to gamification—not necessarily utilizing games, but instead increasing the amount of natural reinforcement we receive (verbal and written acknowledgement from a supervisor after a project is completed, praise after contributing to a team effort, and so on)—they may be able to effectively mimic the results of gamification. Perhaps games are simply a passive way of increasing social connectivity, and we love them because they make connecting with others easier than actually having to reach out and make an effort to acknowledge someone else. An increase of social or verbal reinforcement, then, coupled with occasional gamification of work-related duties, would likely present employees with an appealing combination of automatic and custom-built reinforcement that would be difficult to resist, ideally cutting down on employee turnover and increasing motivation, engagement, and longevity at an impressive rate. Whether or not we utilize actual games in the workplace, let’s find ways to increase the wonder, impetus, and long-term rewards of performing at a high level in our places of work.